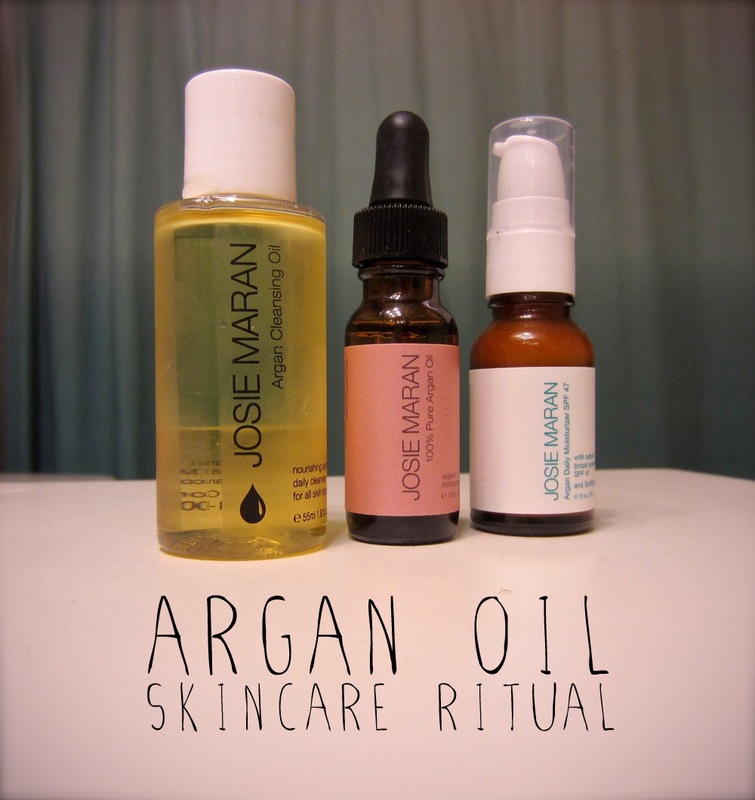 For Christmas I received this awesome Argan Oil Skincare Ritual Kit, and I love it! I've been wanting to try out Argan oil for a while now on my skin. I had already heard about all the benefits for hair, but its use for skincare has been trending lately. This kit came with three-steps to cleanse, nourish and protect. Self-heating formula hydrates deeply as it melts away makeup and dirt. Non-greasy leaves ski velvety - never oily, stripped or dry. How to use: Apply evenly over dry face. Then wet face and massage into a rich milk. Rinse Thoroughly. I LOVE the smell of this. it has a nice citrusy smell to it and feels nice on the skin. Heals, conditions, and clinically proven to reduce the appearance of lines and wrinkles. How to use: Use to moisturize face, treat split ends or condition cuticles. Naturally scented and non-greasy, it’s infused with SunBoost ATB—an innovative complex that promotes the effectiveness of the formula's natural sunscreens. How to use: Apply before sun exposure. Cleanse, nourish, and protect skin with this set of Josie's three bestselling skincare products: Argan Cleansing Oil, 100% Pure Argan Oil, and Argan Daily Moisturizer SPF 47. Each gentle, hydrating skin saver is packed with antioxidants and essential fatty acids to make skin glow. Skin is left refreshed, hydrated, and protected. I was kind of scared that cleansing and moisturizing with Argan oil would leave my already oily skin even oilier. Surprisingly, it cleansed and moisturized just enough. I absolutely love the cleanser. I can feel all the makeup and dirt melt off my face and it smells so good. For step 2, I only need a few drops to moisturize my face after cleansing, and any extra I rub on the ends of my hair to help with split ends. I've only used the step 3 in the kit a few times since I have a daily moisturizer I'm used to using that has SPF 15 in it. Surprisingly, it doesn't smell like sunscreen and is actually a white color like a traditional lotion. It's not greasy and blends into skin easily. I'd recommend this to anyone, and for this 3 piece kit, this is the perfect size to introduce yourself to an Argan Oil skincare ritual for an affordable price of $24! Have you tried Argan Oil for a skincare ritual?